The Trek Émonda SLR 10. Details of the direct bike mount. 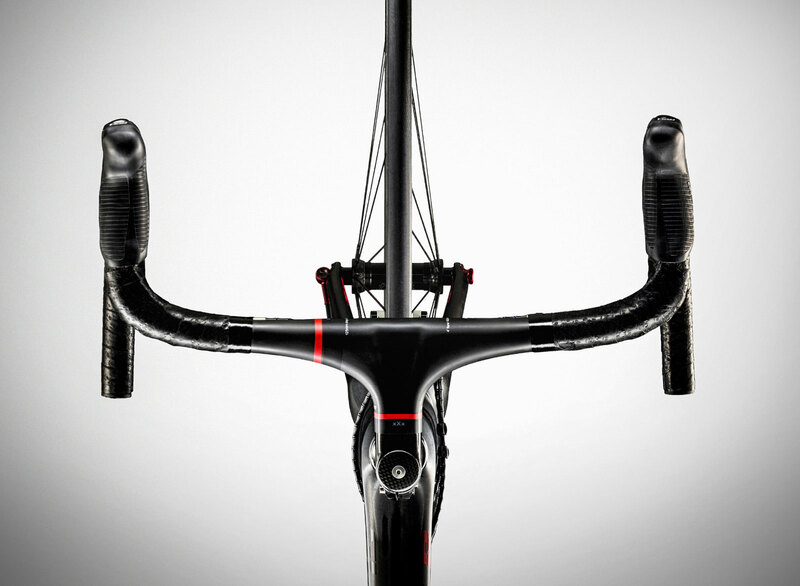 Details of the integrated stem and handlebars. 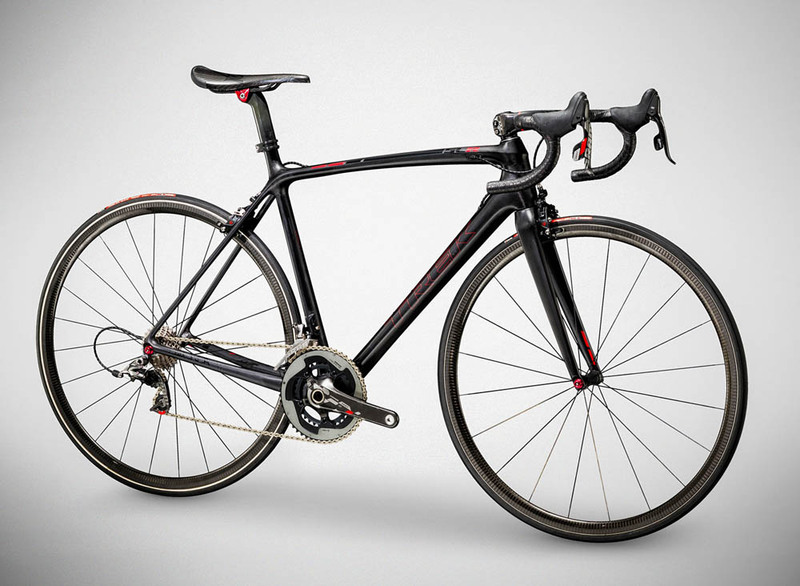 When developing the Émonda SLR 10, cycling company Trek had one overarching goal: to build the lightest bike on the market. To experienced cyclists, the usual plugs—increased stiffness, reduced weight—were straightforward ideas, but this was a daunting task, given all the feathery models that smatter local bike shops. Any worthwhile manufacturer can build something light, but building the lightest requires the purposeful reconsideration of almost every part on a bike. After 30 months of research and development, Trek had done it, and the Émonda is the lightest production bike the world has ever seen, weighing in at just 4.6 kilograms. Out of the box, it is lighter than the average three-month-old baby and is five pounds shy of being eligible for the Tour de France. Attention to every detail was paramount in the development of the Émonda. 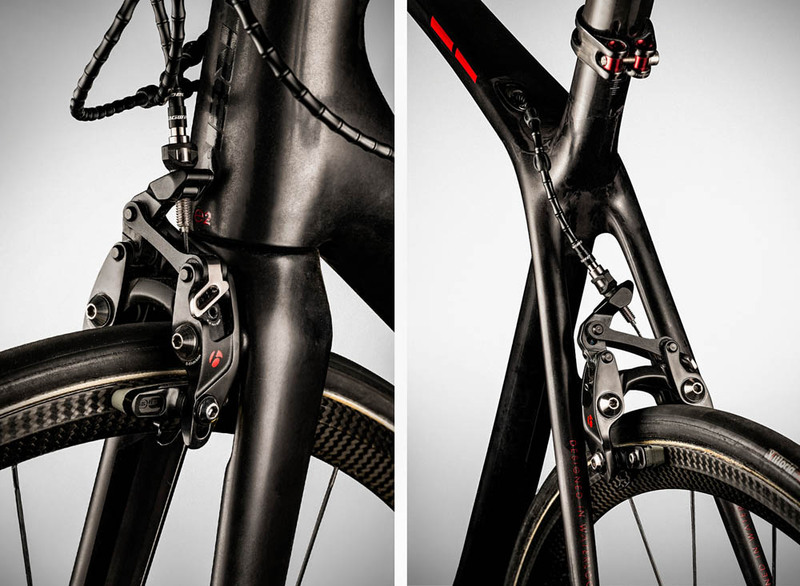 When the Trek team couldn’t find the parts to meet the qualities they were looking for, they built their own: a new Bontrager Integrated carbon bar and stem combo, which shaved off 75 grams of useless weight; direct break mounts to reduce redundant parts; even their own vapour-coat paint (yes, a lightweight paint). And when they couldn’t find the solution themselves, they partnered with German-based company Tune, specialists in weight-conscious cycling components, to produce specialty parts like fully-carbon rims and saddle (with no padding, so make sure to wear an Enduro bib). There is almost no weight arising from parts without a core purpose, nothing extraneous. While the lightness of this bike is rightfully the headliner, Trek also claims the Émonda’s ride quality surpasses any of the previous bikes it has built. This lofty statement is backed by rigorous testing. The Émonda was put through the paces in a lab setting, in countless wind-tunnels, and, on the road, with pro riders testing each prototype to determine the proper balance between ergonomics and ride. Suffice it to say this isn’t your standard commuter bike—this is one for the races, or for long haul rides with hills and sprints. It truly is a feat of design and engineering. If the thought of riding a bike this light still seems suspect, Trek has backed up its dedication to quality with a lifetime warranty, assuring riders this bike will not give out. Owning the lightest bike in the peloton will set you back $15,750, but it will certainly put you ahead of the pack.